Why must our products be enjoyable to use, feel great and smell lovely? How do we make everything enjoyable to use, feel great and smell lovely? As humans, we tend to follow the path of least resistance and are more willing to make a change or stick to a change if it is enjoyable. This seems to be true for dietary or workout plans, study styles, house keeping, thought patterns--any time we replace our old habits with new ones. The products are simply enjoyable. They are made up of really real plants and earth matter and smells awesome because it’s what things really smell like. Not perfume-y, not overpowering, just lovely. Unisex. Sometimes subtle, sometimes a more medicinal essence, but always fresh and gentle and enjoyable. They are also a joy to apply and make your skin feel loved and nourished. These products add beauty and enjoyment to the basic drudgeries of life by creating little rituals around caring for yourself. The regimen, though simple, is very specialized and most likely unlike anything that your client has been doing up until now. This gives them a great opportunity to connect to their personal needs and build up a “ritual toolbox” to pull out the tools that needed for any given situation. ...And need we mention how satisfying it is to see how these products line up so nicely on the shelf. This makes them effective and able to provide REAL RESULTS. THIS AIN'T PINTRIST. and this isn't the same old/same old over-cleansing/detox/use essential oils BS recipes that get copied and passed around. We have a real theory and process here. Based in physiology, chemistry, and over ten years of clinical practice. We know this works and we know HOW to make this work. The Ingredients must support (NOT SUPPRESS!) the body's ability to heal itself. 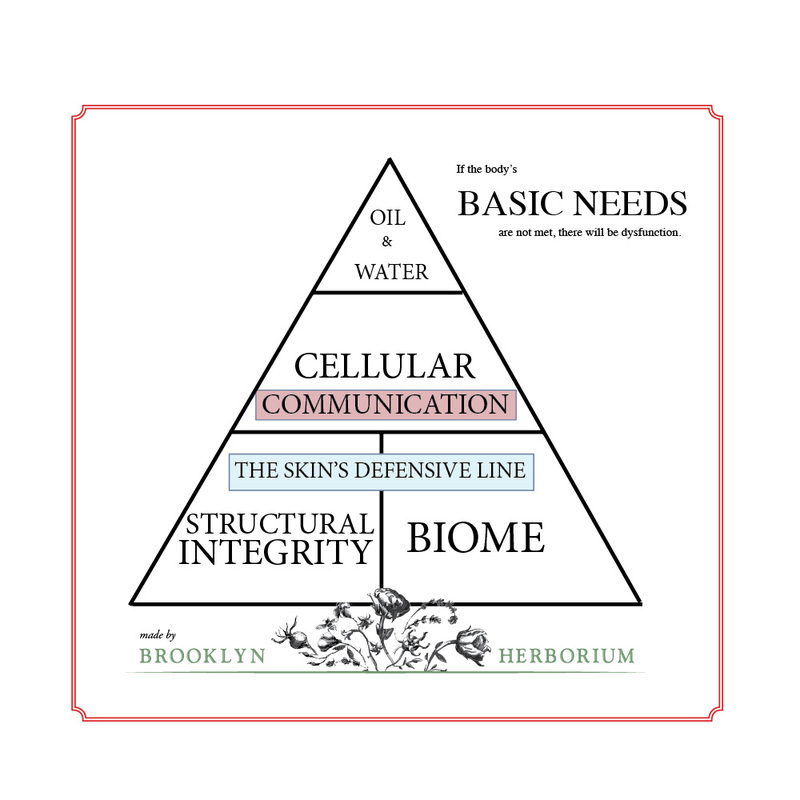 Each product must maintain the skin's pH, BIOME, and Structural Integrity. We can provide Complete Care that is SHELF-STABLE without any type of artificially antimicrobial preservative. The products then must maintain it's own stability (Does not degrade or oxidize) when applied topically.